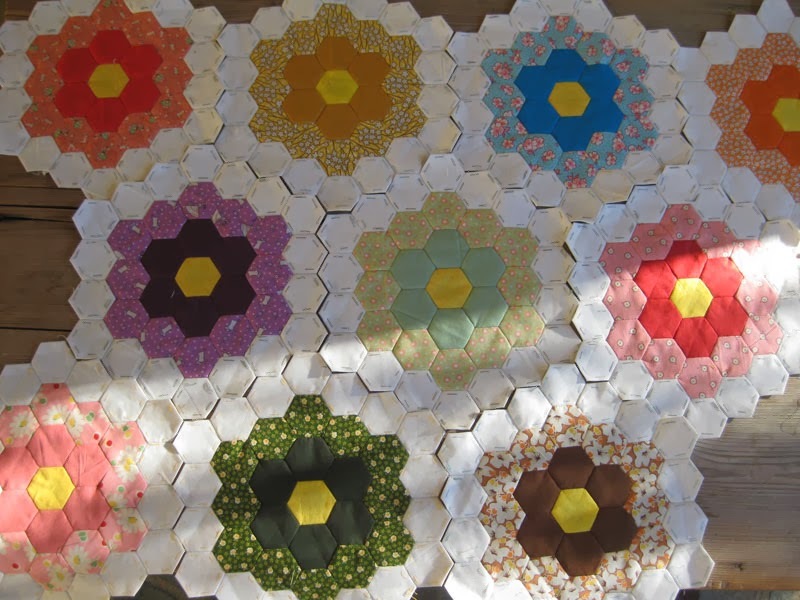 This is a project that I am hand piecing, and I will hand quilt. I started it some months ago and it will take me a long time to achieve it, as I keep this work mainly for our Monday's meetings with my friends. 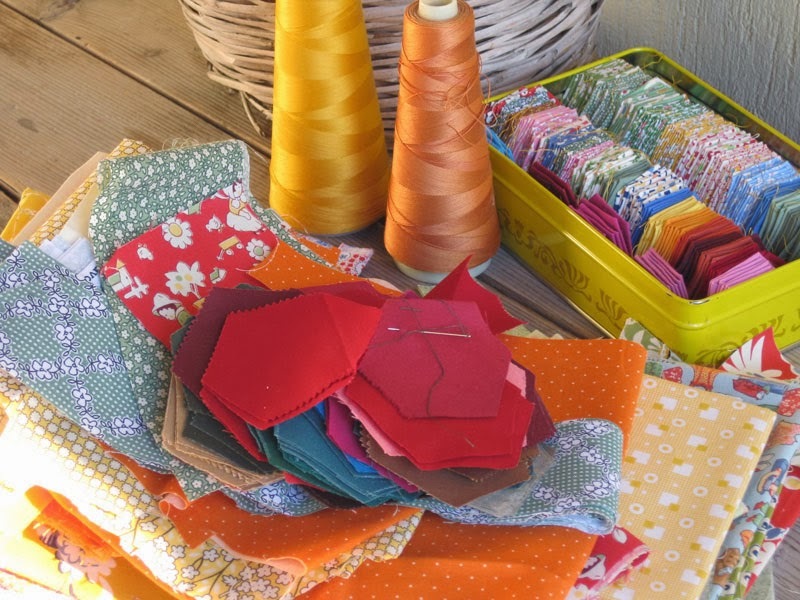 I am not in a hurry as I work on other quicker projects together, that I piece with my sewing machine. Starting early in the morning, in the garden, with enthousiasm! well done! great result and nice pictures! Beautiful colours are reflected by the outdoor luminosity. 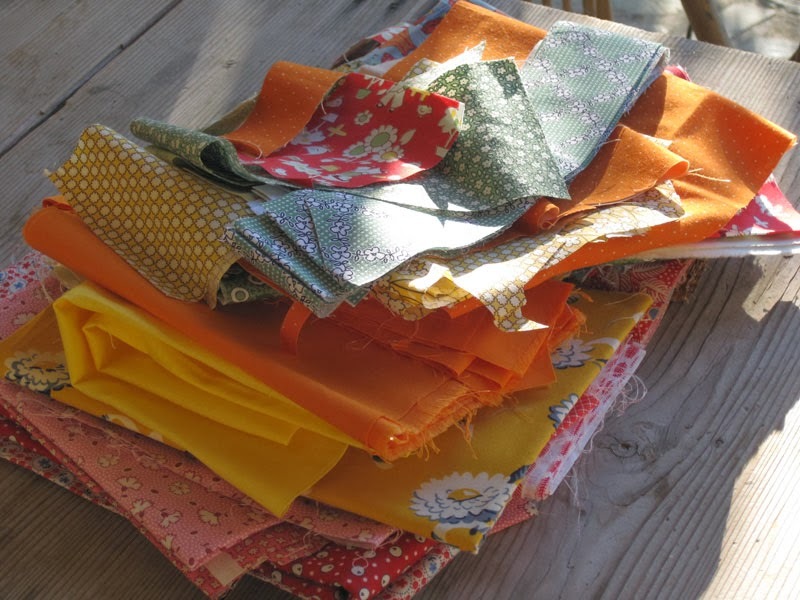 The diversity of fabrics and complexity of colours show once again how meticulous is the effort of quilting. Looking forward to seeing the advancements on that promising project! This is a beautiful piece! I love the variety of colours in your pattern! Tres jolie! 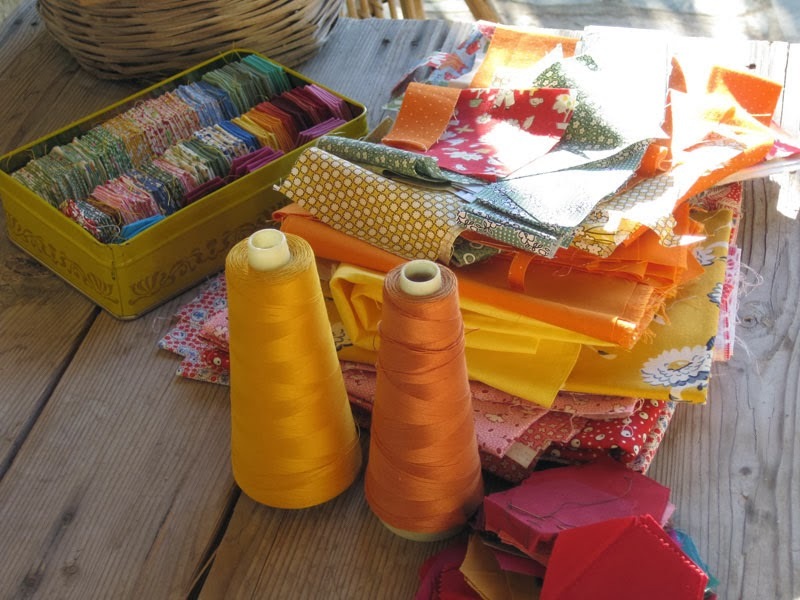 Lovely colors, great to have handwork in between! Thank you so much. Kaity for your sweet comments! 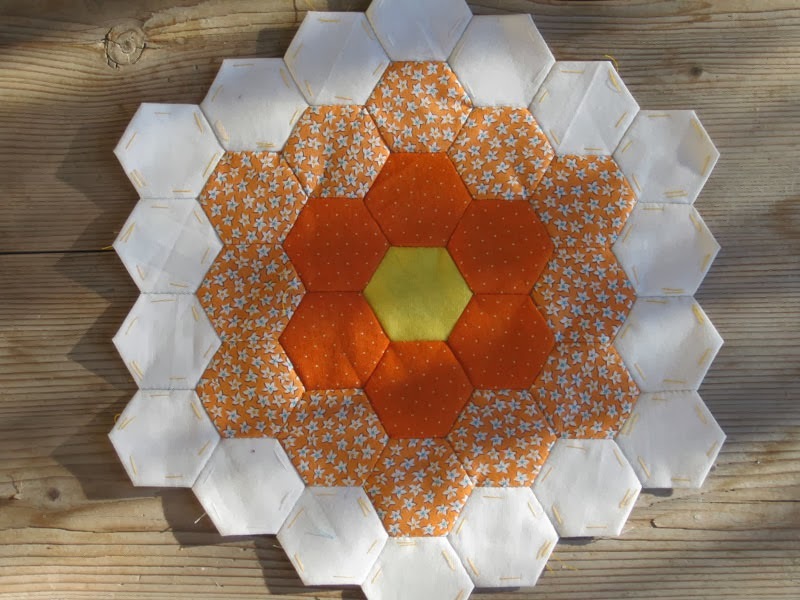 I'm in love with your hexi tin too!!! You flowers are beautiful. I added your blog to my sidebar and wanted to personally invite ya to stop by on Tuesday for a new linky: Tuesday Archives. It's a retro linky of sorts where you link up posts from your archives according to a weekly theme! Stop by and check it out! myplvl.blogspot.com. Nice to meet ya! You're very organised! The box of hexies looks so cool! The flowers are beautiful and I do love orange! p.s. do you know your word verification is on? 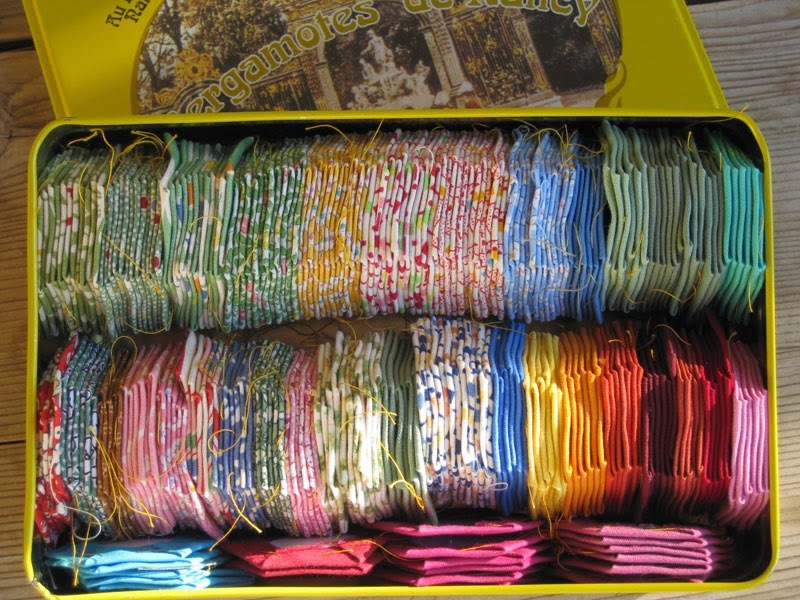 What a lovely garden and a very organized box of hexies.